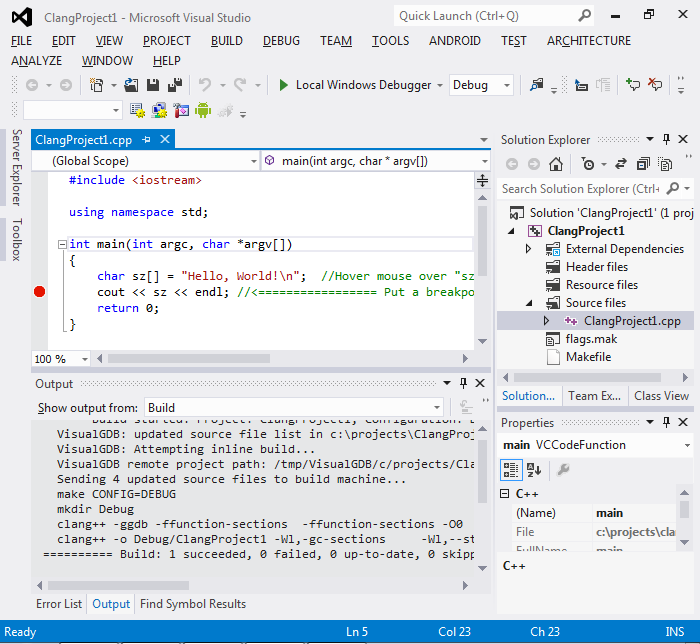 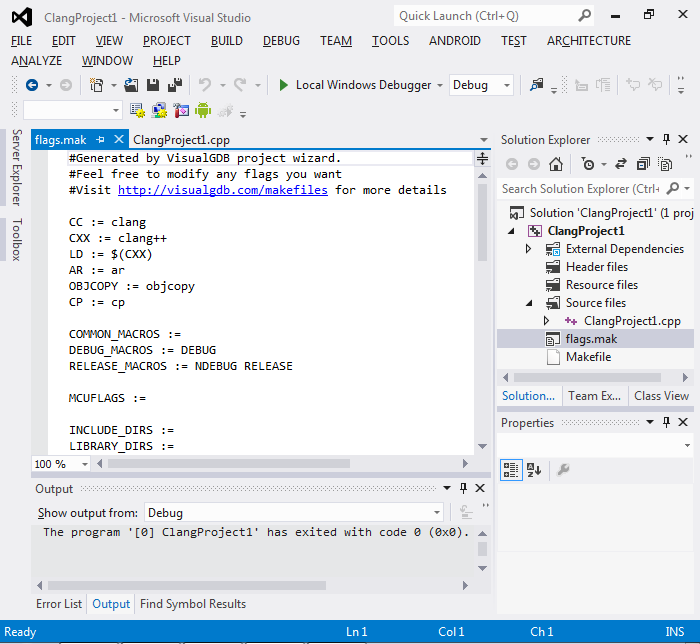 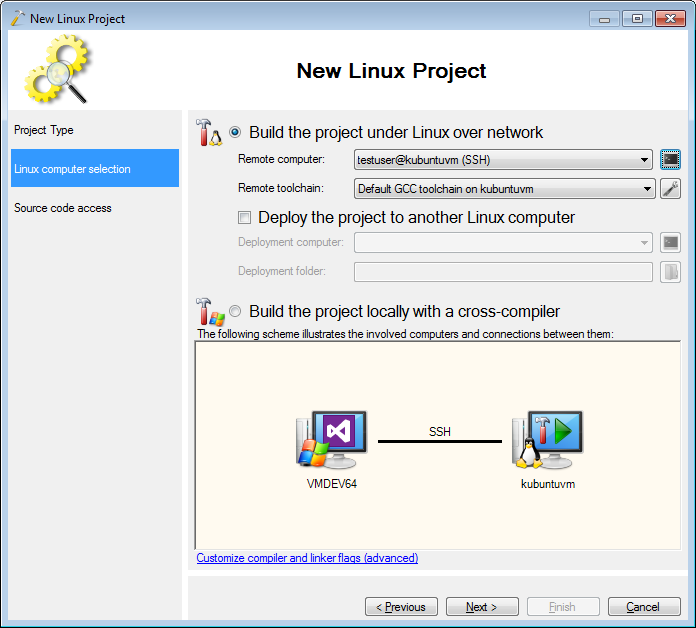 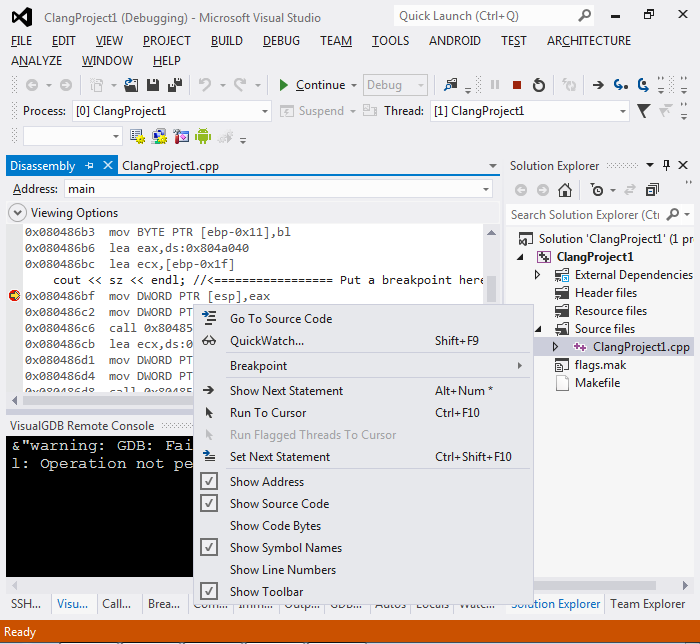 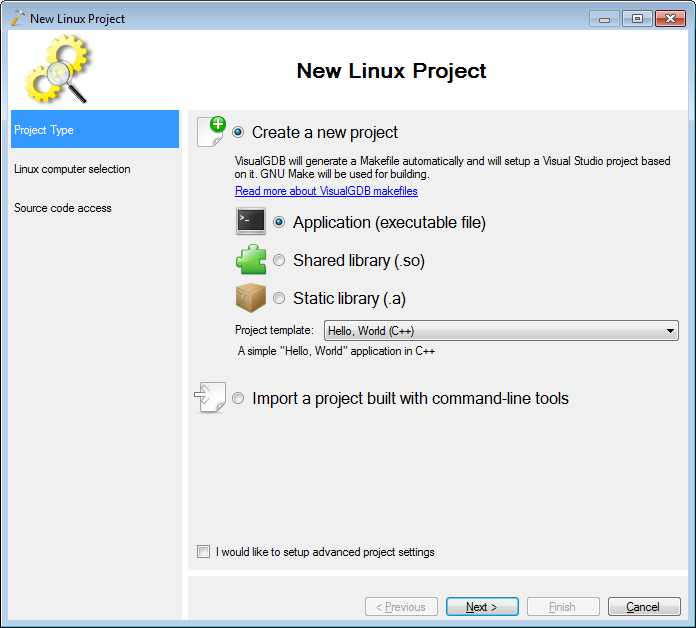 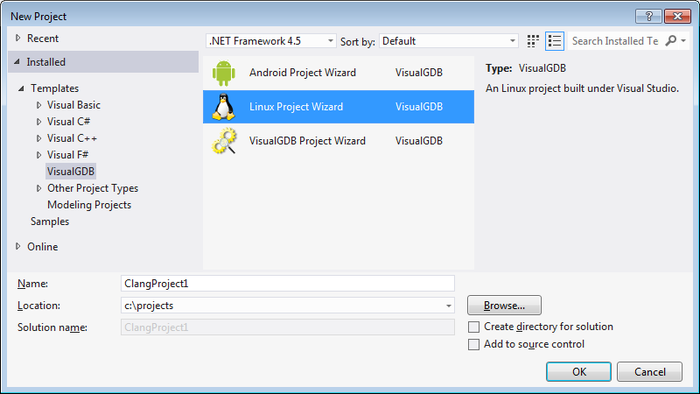 This tutorial shows how to create, build and debug a Linux application using the clang compiler under Visual Studio with VisualGDB. 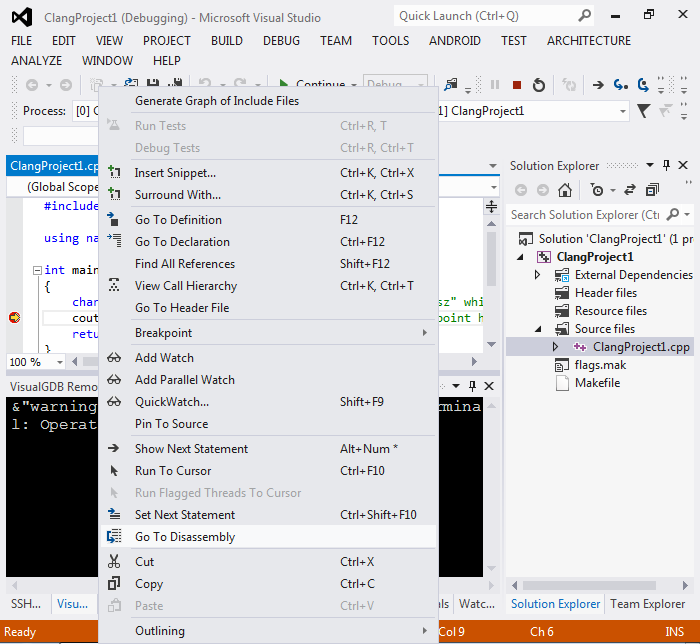 Select a computer where you want to run clang. 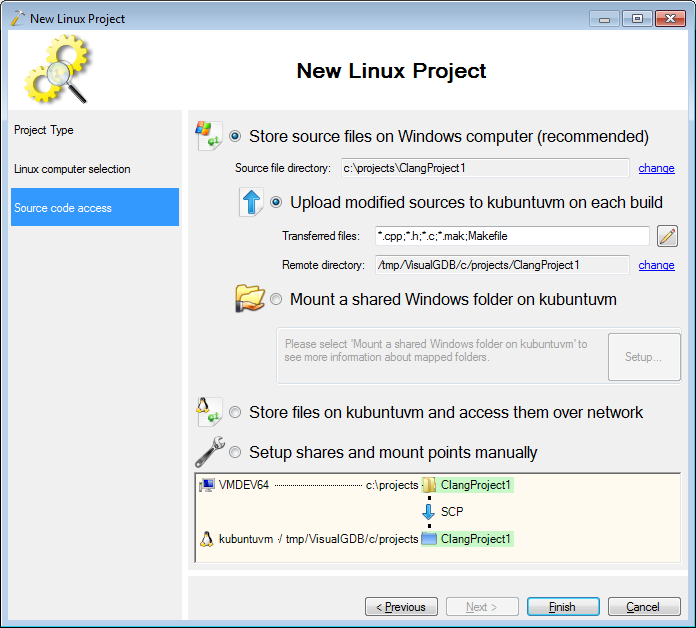 If you have troubles setting up the SSH connection, follow the Linux quickstart manual. 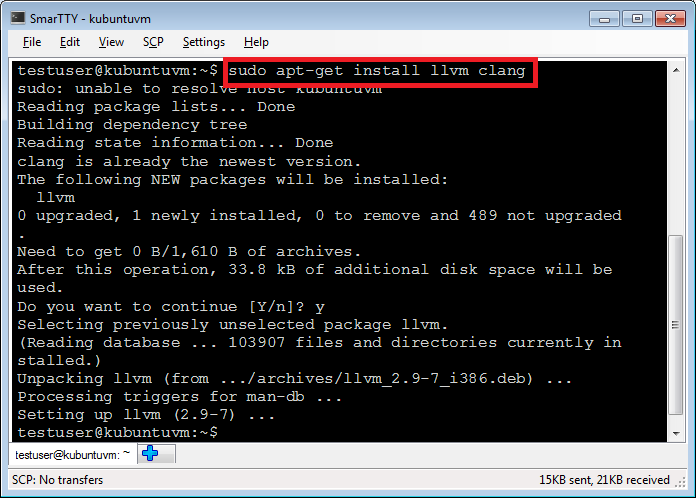 If you are using a Red Hat-based system instead, use yum to install LLVM/clang. 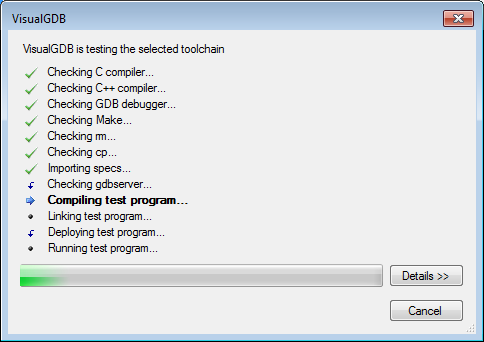 You can use the disassembly view to see the source code and the corresponding disassembler dump: Use the context menu to set various disassembly options and select which information to show.